This report provides an assessment of spatial inequalities and segregation in cities and metropolitan areas from multiple perspectives. 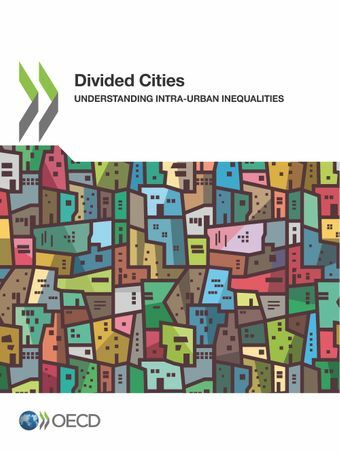 The chapters in the report focus on a subset of OECD countries and non-member economies, and provide new insights on cross-cutting issues for city neighbourhooods, such as the patterns of segregation across income groups, migrant concentration and diversity across cities of different sizes, the role of public transport accessibility in widening intra-city inequalities, and the expected path dependency on outcomes related to segregation. The report also discusses methodological alternatives for measuring different dimensions of inequality and segregation across cities, and highlights the role of public policies in bridging urban divides and the relevance of the scale of analysis in order to make sound international comparisons. The Lincoln Institute of Land Policy launched the Municipal Fiscal Health Campaign in 2015 to help equip policymakers and local government officials with the tools to address their communities’ fiscal challenges. A seminal event in the campaign’s trajectory, this conference convenes leading experts, scholars, and practitioners for an international dialogue to further elevate municipal fiscal health as an issue of global importance.